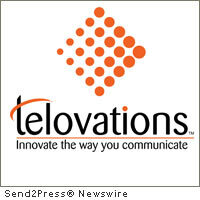 TAMPA, Fla., July 5, 2011 (SEND2PRESS NEWSWIRE) — Telovations Inc., one of the nation’s leading providers of cloud communications services to business, announces the acquisition of FeatureTel, the leading IP telephony company in North Carolina. The acquisition expands the Telovations network footprint, increases its software integration capabilities and strengthens the company’s customer base. In addition, the company will be expanding its customer service team in both North Carolina and Florida. Funding for the deal was partially provided by Silicon Valley Bank. Financial terms of the deal were not disclosed. Telovations will grow its regional presence in North Carolina as well other Southeastern states. Paul Levering, founder and CEO of FeatureTel, will assume the role of Regional President, Mid-Atlantic and take a seat on the Telovations Board of Directors. The company headquarters will be in Tampa, Fla., with presence in Atlanta, Ga., and Jacksonville, Fla. The mid-Atlantic region will be based in Research Triangle, North Carolina. Founded in 2003 in Apex, N.C., FeatureTel offers hosted VoIP business telephone service over private networks for companies of all sizes across the Carolinas, providing a cost-effective, feature-rich alternative to traditional phone service. FeatureTel was the first Hosted VoIP carrier in North Carolina to receive the Competitive Local Exchange Certification (CLEC) by the state’s Utilities Commission and was named to the 2010 Inc. 5000 ranking of the nation’s fastest-growing private companies. Telovations is the fastest growing next-generation managed service provider pioneering the delivery of business communications in a Software-as-a-Service model referred to as “Communications-as-a-Service.” CaaS from Telovations enables businesses to deploy communications devices and applications on a pay-as-you-go, as-needed basis thus eliminating the need for capital investment and ongoing overhead. Offering the latest communications technology coupled with a Quality of Service guarantee, Telovations provides businesses both flexibility and scalability that they might not otherwise afford. Telovations supports customers across North America and was named to the 2010 Inc. 500 list of fastest growing private companies. For additional information about Telovations’ communication and collaboration solutions, please visit www.telovations.com or call 1-877-934-6668. News issued by: Telovations Inc. Original Keywords: FeatureTel acquisition, Telovations Inc, IP telephony company in North Carolina, Silicon Valley Bank, cloud communications services, Paul Levering, Mark Swanson, VoIP business telephone service over private networks, CaaS, Communications-as-a-Service, Inc 500 list Telovations Inc. Tampa Florida TAMPA, Fla.
Alternate Headline: FeatureTel acquired by Cloud Communications Leader Telovations Inc.
RSS News Feed for Telovations Inc.
REFERENCES: Business News, FeatureTel acquisition, Telovations Inc, IP telephony company in North Carolina, Silicon Valley Bank, cloud communications services, Paul Levering, Mark Swanson, VoIP business telephone service over private networks, CaaS, Communications-as-a-Service, Inc 500 list Telovations Inc. Tampa Florida TAMPA, Fla.